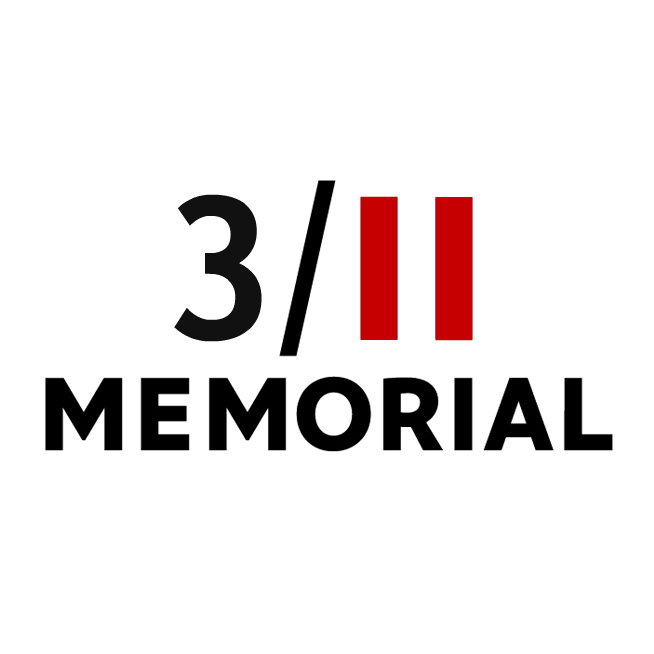 By now you may have already found out that the official story about March 11, 2011 in Japan, is not a representation of what really happened on that day. To determine what the truth is, what DID happen that day and in the aftermath is of great importance because the lies and the deception surrounding the events run so deep and reach to the highest levels in the global community. Exposing the 3/11 truth is vital when we want to prevent similar or even worse events in the future, exposing the 3/11 truth can also contribute to change the current situation in which the real perpetrators, who have committed acts or war (war crimes) against Japan and its people, have (for now) gotten away with their terror upon the world, completely unpunished. There’s a lot being said and written about Fukushima and 3/11, certainly online, and as one may expect not everything is true. However, the same applies to the media, official statements by governments and world governance entities anywhere in the world, they willingly fuel the deception by spreading wrong information which makes it very difficult to locate trusted data. Confusion is indeed a characteristic that cloaks the 3/11 and its resulting events, Fukushima 3/11 Truth should not be blamed for this confusion since we are only trying to find out and present you the facts and the truth. So, what do we know so far and what are the facts? The real 7.0 earthquake on March 11, 2011, can be and has already been proven based on witness accounts [1, 2, 3], official maps/charts and specialized investigations. From the earthquake that triggered the tsunami and therefore the tsunami itself, to the exploding nuclear reactors and the spreading of disinformation, it’s all part of the (eco-) terror, the deception and the blackmail aimed at Japan and the rest of the world. In addition to well-documented (internet) investigations [1, 2], both the Royal Swedish Academy of Engineering Sciences (IVA) and the German VGB PowerTech e.V. also question the official reason that is being given for the destructive and suspicious explosion in nuclear reactor (unit) 4 in Fukushima Daiichi. The US-Israeli Stuxnet virus was detected in Japan as early as July 2010. The Siemens SCADA (supervisory control and data acquisition) system, as used in Fukushima, Japan, is the original target that Stuxnet was designed to attack. The Israeli “security” firm Magna BSP [1, 2] was (and still is) in charge of the security at multiple nuclear sites in Japan, including the Fukushima nuclear power plants. Their unique connections to the Israeli Mossad and Homeland Security, in combination with their more than questionable or even suspicious behavior, techniques and equipment bring up more than just one reason to assume active sabotage from their side too. Also, Israel’s organized crime syndicate, or mafia, has been linked to the cleanup in Fukushima, Japan, whereby homeless people are being deployed because they are deemed disposable and expendable. This evidence is not only based on former US Secretary of Defense William S. Cohen’s statement during a military briefing in 1997 regarding his definition of eco-terrorism, nor is this evidence based solely on the proven existence of devices such as tsunami bombs. In fact, this evidence is based on the two previous mentioned cases and facts as well as on other proven cases, such as in Mexico, where a planned earthquake simulation in 2012 suddenly went live, as if the earthquake was created and delivered on demand. Comparing the seismic charts of a nuclear test, a natural earthquake and the 3/11 quakes reveals that man-made quakes occurred on 3/11. Can certain health issues be linked to the nuclear radiation caused by the Fukushima sabotage? Yes, but this is very limited and is mostly a problem for the Japanese people (which is a sad fact to say the least, nevertheless). A lot of radiation occurs naturally as well, which doesn’t automatically mean that everyone should not be cautious of course. As you can witness yourself, the official story about the Fukushima 3/11 and resulting events can hardly be described as a factual account. In fact, based on our findings and the hard work by others it is obvious that the core of the truth is in no way included in the official narrative as provided by the media, governments and global governance entities. 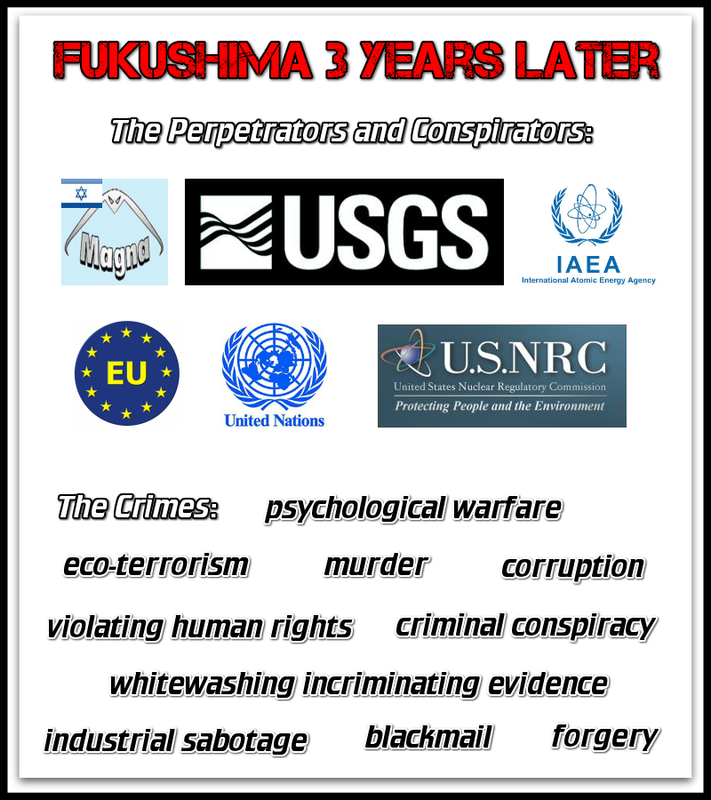 Based on all the provided data and evidence, the attitudes of the United Nations (UN), the European Union (EU), the government of Israel, the government of the United States of America, Magna BSP (Israel), the United States Geological Survey (USGS), the United States Nuclear Regulatory Commission (NRC), the International Atomic Energy Agency (IAEA), the establishment and alternative media and considering their practices since March 11, 2011, whereby crucial data and evidence, not necessarily limited to the above provided facts only, has intentionally been withheld from the public – which still continues to result in the misinterpretation of the 3/11 events and situation in Japan – it is now after almost 3 years since the sabotage, acts of war, war crimes and eco-terrorism have occurred more than time to bring to justice those who have created this awful situation. Israel, Karma is a beast. I feel I see your future clearly. It resembles a mushroom cloud. The victims will be everyone in Israel. One thing to remember and cling to in all of this insanity. We, the Goyim, are like rats. And like rats, they try to deceive us and kill us. But we are many. And we grow with knowledge and we grow with resistance. And resistance is twofold. Resistance to the lies, and resistance to their toxic poisons. Thank you 311 for tasting the food, and relaying to us if it is poisoned or not. We rats are not as dumb as they may think when we have leaders like you at the helm. Great work. I’m off to read the link above on flight 370. It’s been such a web of lies and intentional confusion……they might be thinking “the hell with the chemtrails, we’ll kill them quicker with insanity”. No the jews are rats, we are noble, they are not. The jews are filthy and disgusting, don’t ever compare us to rats, the nazi’s compared jews to rats and that is the most appropriate comparison. We are like dolphins. Since I’m awake I wake up more often. If you reach the point of accepting that mass media is about slavery and that democratic governments are only shiny firewalls of dictatorship … you are unable to take the blue pills anymore. Thanks for spreading the word and making me more aware of the degeneration of mankind, your material is very impressive. I hope some day mankind is allowed to consume such stories through mass media but that’s naive maybe. Stay alive. Thanks for your message. Along with you we hope the same. Currently we are under attack not just because of spreading the truth about 3/11 but also because we are exposing what they are doing with Malaysia Airlines flight 370. Read the facts about that specific case please at http://www.4key.net and http://www.truthnewsinternational.wordpress.com, which is of great importance. Please spread those flight 370 articles as far as you can. We are limited in our resources and infrastructure since they have attacked our routers and wifi connections. Most logical and coherent explanation so far and consistent with the globalist agenda. Enter your email address to follow Fukushima 3/11 Truth and receive notifications of new posts by email.